The Stop Funding Hate campaign strikes me as an illiberal way to set about achieving the liberal objective of less negative press coverage around immigration. 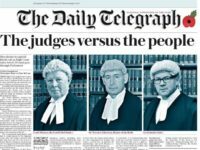 What right do a few hundred, or a few thousand, people on social media who don’t read the Daily Mail have to dictate the type coverage read by several million people a day who do read the paper? And do we really want advertisers overtly seeking to influence editorial decisions? Because once we make it ok for advertisers to make editorial judgments we could end up in a shady place. Today it is Lego in response to concern about the Daily Mail’s coverage around Brexit and immigration – tomorrow it could be banks and oil companies seeking to dissuade publishers from carrying out legitimate investigations. It was one thing when the News of the World faced an advertising boycott because it was involved in serious criminality. But it is quite another to target The Sun, Daily Mail and Daily Express because you don’t like their point of view. Advertising pulled from these papers would, in all likelihood, follow so much else brand advertising and transfer to Facebook. The Daily Mail employs, at a rough estimate, at least 500 journalists. Facebook employs none. The US presidential election may offer us some insight into what happens when a significant portion of the public gets its news from social media, rather than the old media. Facebook is a medium where users can choose their own truth and believe what they want to believe, untested by journalistic rigour. Facebook and Twitter were certainly used to great effect by Donald Trump. On Facebook a candidate can make outlandish claims in an echo chamber created by an algorithm which favours information from sources readers “like”. 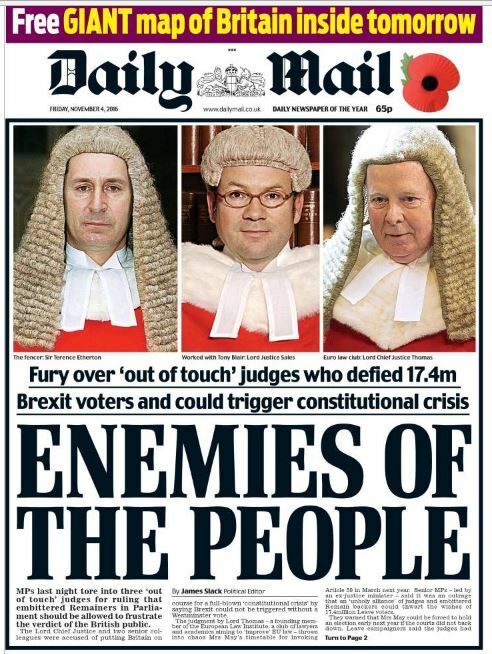 Those seeking to silence the Daily Mail should perhaps also remember that in addition to its hard line stance on immigration, it has successfully campaigned to get justice for Stephen Lawrence, ban free supermarket plastic bags and to get the last UK Guantanama Bay inmate, Shaker Aamer, freed. Definition of bigot. : a person who is obstinately or intolerantly devoted to his or her own opinions and prejudices; especially : one who regards or treats the members of a group (such as a racial or ethnic group) with hatred and intolerance. Therefore liberalism is against bigotry. Language is bring printed and published to support bigotry and its off shoot hate. As such those shouting about Stop Funding Hate being ‘illiberal’ are wrong. Social justice warriors do not discretely ask advertisers to take responsibility. The loudly scream, yell and shame the brand in question so that the brand damage from their own noise undermines any possible commercial benefit from the advertising. They are seeking to defund news outlets they don’t like, hopefully to destroy them altogether. They would happily deny choice to those who would otherwise read that news source, deny jobs and contracts to excellent trained journalists and diminish the diversity of opinion available. They seek to make the media smaller and less rich. They are an illiberal destructive noisy minority seeking to impose their own values on everyone else.